Immanuel Church was completed in 1837 to an original design by J and T Stones. A chancel, transepts, a small chapel and an organ chamber were added by 1867 to a design by J & J M Hay. Originally, the Church had six bells cast in 1878. The ring was augmented to eight in 1913 with the addition of two treble bells. Cast: Bells 1 & 2 1913 by John Taylor and Co. Bell 3 – 8 1878 by John Taylor and Co. There is a nearby free car park, accessed from Willow Park off New Lane, to the east of the Church with footpath access to the Church gate. 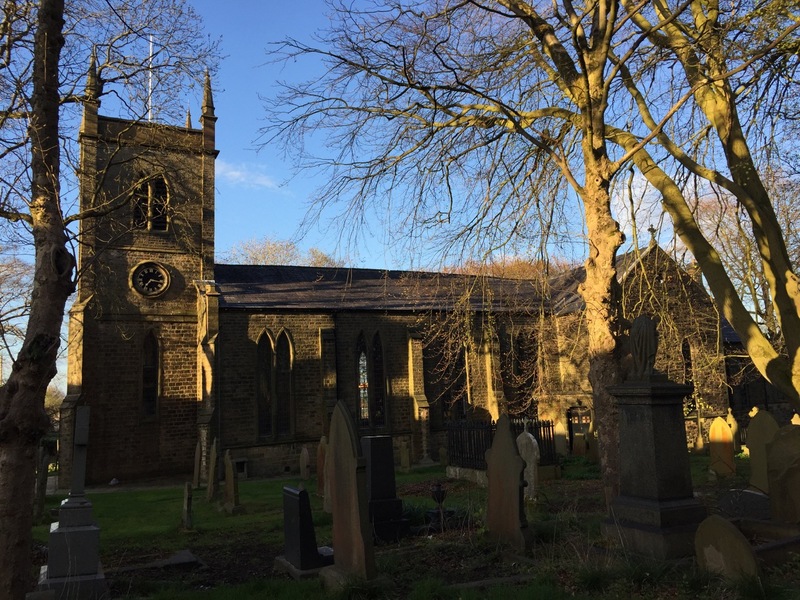 This entry was posted in Lancashire Association, Peal, Quarter, Ringing, Towers on 26th August 2018 by Ray Hutchings.